J 2 Manhattan - The Eternal Traveler Syndrome in a Circular Motion. 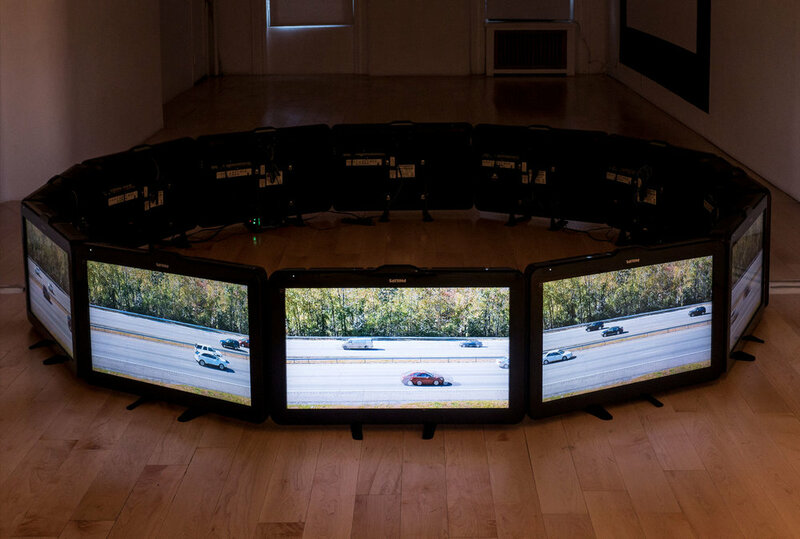 12 TV screens multi-channel video installation, 2017. J 2 Manhattan - The Eternal Traveler Syndrome in a Circular Motion (Out). 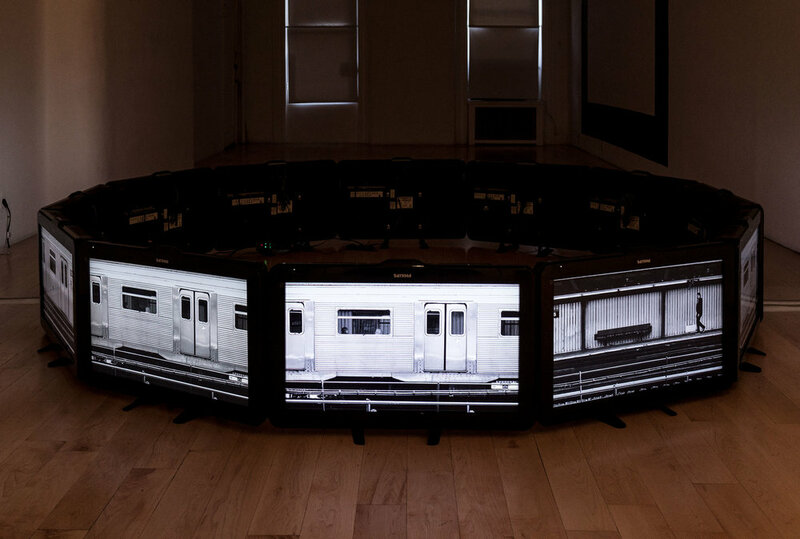 12 TV screens multi-channel video installation, 2017. Interstate 87 - The Eternal Traveler Syndrome in a Circular Motion. 12 TV screens multi-channel video installation, 2017. Interstate 87 - The Eternal Traveler Syndrome in a Circular Motion (Out). 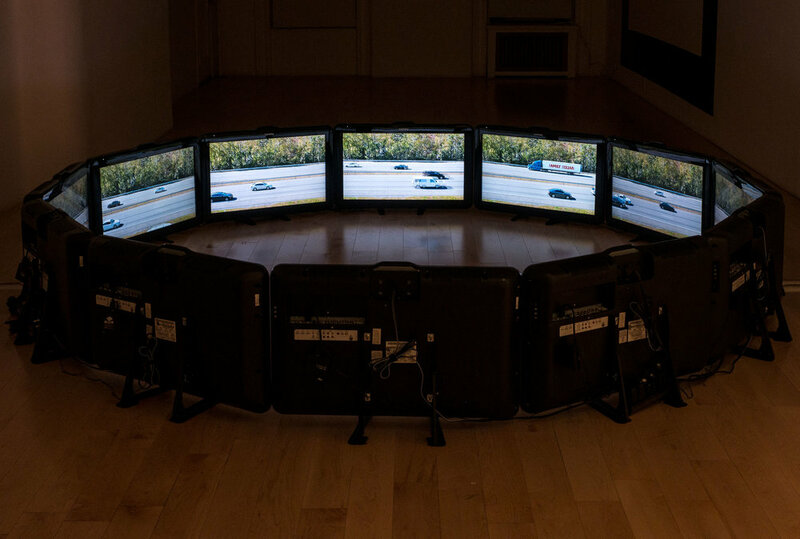 12 TV screens multi-channel video installation, 2017.